Compact and stylish from the outside, surprisingly spacious on the inside combining with great manoeuvrability you've got yourself the perfect run around at the perfect price. *The finance offer is affordable as it is the nature of Personal Contract Purchase that your monthly payments are lower because a significant proportion of the amount payable is deferred to the final payment at the end of the agreement. 1. Return the vehicle and not pay the Optional Final Payment. If the vehicle has exceeded the maximum agreed mileage a charge of 4p plus VAT will apply per excess mile. If the vehicle is in good condition (fair wear and tear accepted) and has not exceeded the maximum agreed mileage you will have nothing further to pay. 3. Part exchange the vehicle subject to settlement of your existing credit agreement; new credit agreements are subject to status. 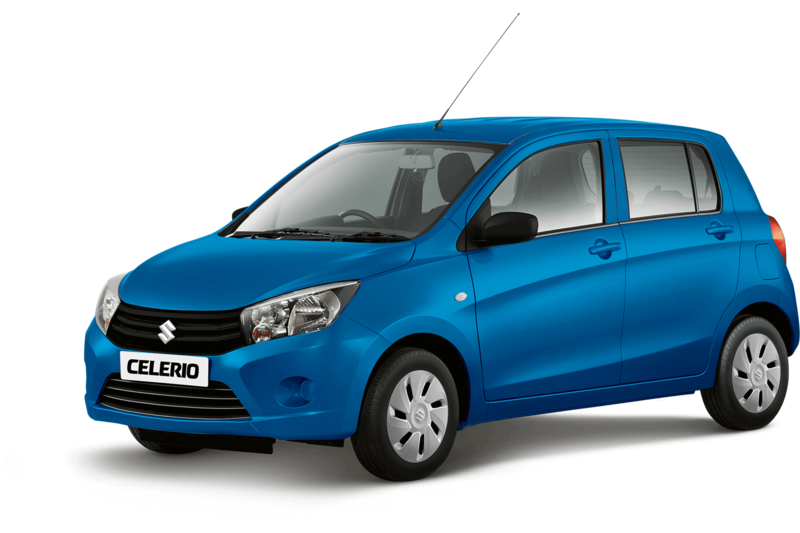 Fuel economy and CO2* results for the Suzuki Celerio range in mpg (l/100km): Combined 58.8 (4.8) to 58.8 (4.8). CO2 emissions: 89 to 89 g/km. The fuel consumption you achieve in real life conditions and CO2 produced will depend upon a number of factors including the accessories fitted (post-registration), variations in weather, driving styles and vehicle load. *There is a new test used for fuel consumption and CO2 figures. The CO2 figure(s) shown however, is based on the outgoing test cycle and will be used to calculate vehicle tax on first registration. Only compare fuel consumption and CO2 figures with other cars tested to the same technical standard. Personal Contract Purchase product available on 6.9% APR Representative over 25-49 months. Offer is available from Sparshatts Suzuki. Offer cannot be used in conjunction with any other offer unless otherwise stated. Credit is available to UK residents aged 18 years or over, subject to status, from Suzuki Finance, a trading style of Suzuki Financial Services Ltd, St. William House, Tresillian Terrace, Cardiff, CF10 5BH. This offer is subject to availability and Suzuki Financial Services Ltd reserves the right to withdraw or amend this offer without notice or prior warning. Suzuki Financial Services Ltd, part of Lloyds Banking Group. Offer correct at the time of being published. Excludes Channel Islands and Isle of Man. Offer valid between 1st April and 30th June 2019. For full terms and conditions of all offers please speak to the Sparshatts Suzuki team by calling 01329 828727 or by filling out our contact form here. We may record telephone calls to improve our service. Information gathered will not be passed onto a third party.